Have you been to Sweden? If you haven’t, don’t. The utopic air will infest your system, spoiling you for the lesser societies that issued your passports. Everyone: the waiter, the shop-girl, the entrepreneur, is well schooled, well read, and happy with their lot. The maid that comes into your hotel room to scrub the toilet bowl looks like the hottest girl in your high school. 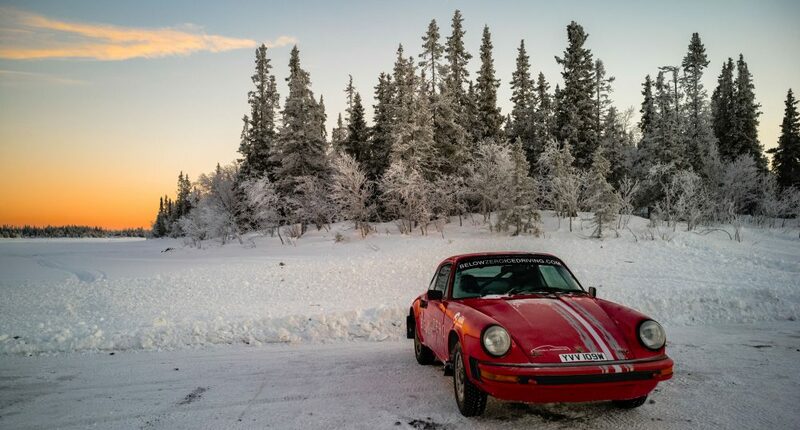 I went to Åre, the Lake Tahoe of Sweden, in order to learn how to rally vintage 911s on studded ice tires. 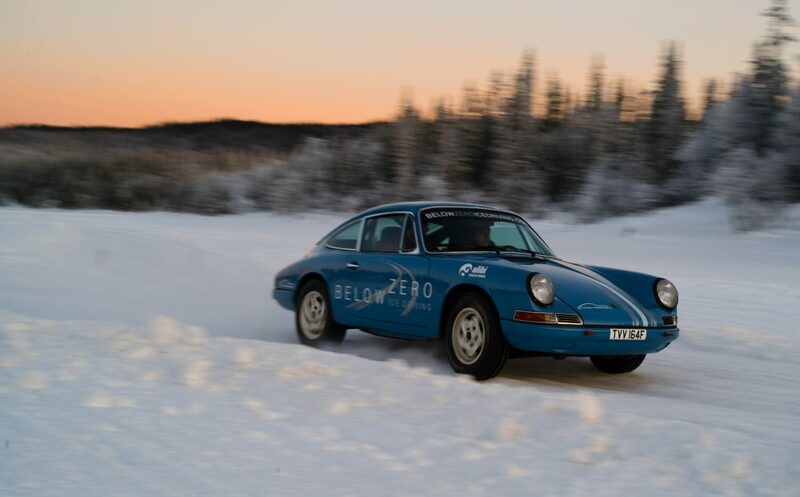 Below Zero, the ice driving school, is like Sweden. Don’t go there unless you want to become jaded to asphalt, disdaining Laguna Seca as if it were a mattress with a pea. Think of a typical driving school. For me it’s out west, in the desert: Willow Springs or Chuckwalla. The only place to stay are motels with acrylic cylinders of Raisin Bran for breakfast. The supermarkets are populated with neck-tats and meth-mouths. Desert winds whip your eyeballs with grit. Sun peels the skin from your nose. You get five 20-minute sessions on the track. Sometimes, if you are feeling randy, you turn off the stability control and relish in five degrees of slip angle. 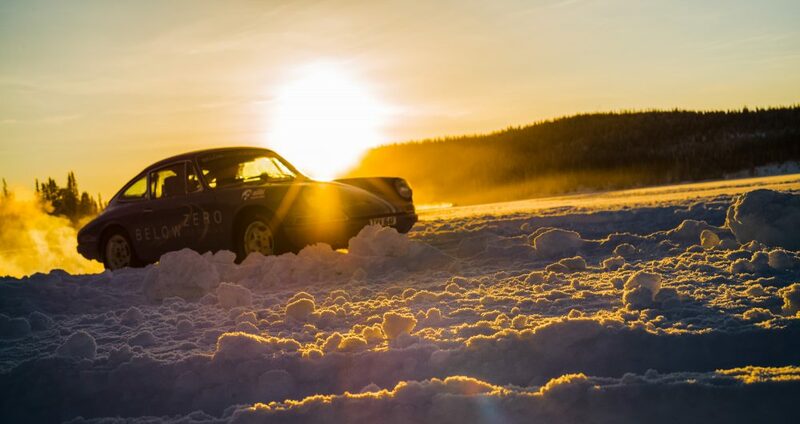 If you added up every single moment of glory you’ve had on the track—every bit of oversteer coming off a slow corner onto the straight, or the time you figured out how to rotate under trail braking, they would compress into the first half hour of Below Zero. You fly into Stockholm airport where serpentine glass terraria, stories high, enclose native habitat. Tall blonds sip green smoothies. The bathrooms have urinals too high for short Jews, forcing me to pee in a tall arc. A kindly sommelier who worked at a Michelin-starred restaurant offered to drive me part of the way to Åre and drop me at a train station. The rental car had studded tires. He sped over ice with deft little slips of traction, expressing wordless Nordic umlauts of competence, like cartoon bubbles. He dropped me at the station. The train was appointed with red vinyl lounge chairs that had their own desks and outlets. If you tried to be polite and ask someone, “Do you speak English,” they look at you like, “Yeah dude, everyone speaks English,” so I stopped asking and just addressed everyone in English. The train passes through Santa-land—Nordic homesteads and partly-frozen rivers. It stops at the base of Åre, one of Sweden’s top ski resorts. A taxi takes me mid-mountain to a hotel filled with twenty-something blond girls. I asked the receptionist what was going on. She said that 300 co-eds had just checked in for Swedish ski week and apologized for the hot tubs being over-crowded. And I thought: if this is what I have to do for my writing, for my Art, like Orwell in Down and Out in Paris and London, then so be it. 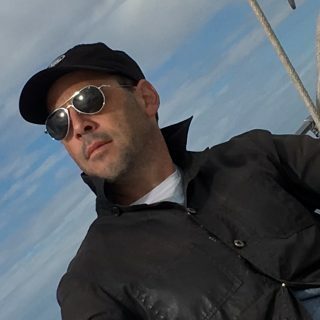 This middle-aged, married Jew, parted the waters of the hot tub like Moses en route to my water jet, brushing past the tempting Sodomites, but, like Lot, I didn’t look back. Ok, maybe I looked back. Twice. The next morning I was picked up by another blond girl in the Below Zero van. Inside were four Oxbridge blue bloods in their thirties with the plummiest accents I’ve ever heard. This was way beyond BBC English; sort of like when a real story is so much stranger than fiction that nobody would believe it. So if the actors in Downton Abby were to have spoken as these chums, their accents wouldn’t have been believed. Plummy really doesn’t do them justice. The word comes from sounding as if you had a plum in your mouth. Their accent wasn’t muffled or imprecise, it was mellifluous, like an English chalk stream running over stones worn mirror smooth by a thousand years of culture. They had family game preserves in Kenya that they surveyed in private jets. I asked one if beaters drove pheasants toward matched Purdys, reloaded by valets, and he expressed the posh version of “Duh.” One handsome, kind gentlemen drove an ‘80s Aston Martin DBS around London and piloted himself around New Zealand on a heli-hiking trip. The privilege was intoxicating, like drinking ambrosia after a life of Tang. The white van passed through a white landscape, through forest and dale, hollow and hill, eventually entering another family hunting estate from which Below Zero rents the lake of ice. 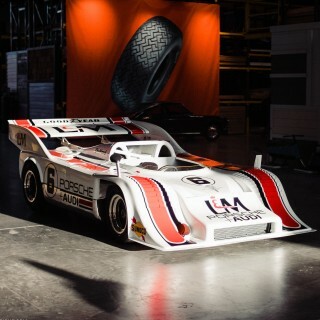 We drove onto the lake and pulled up to five vintage Porsche cars in rally guise, idling before a large Quonset hut. This large white hut felt Moroccan, with a large rug and colorful throw pillows. This is where the wimps recovered, sitting in pools of their own sweat, guzzling electrolytes. Outside the hut the five Porsches waited. Not street cars lightly modified for the undemanding lake upon which the track was carved, but rotisserie rally cars, seam welded and reinforced for Paris-Dakar and the East Africa Safari, which one of the cars and one of the instructors—the aptly named Ryan Champion—recently won. 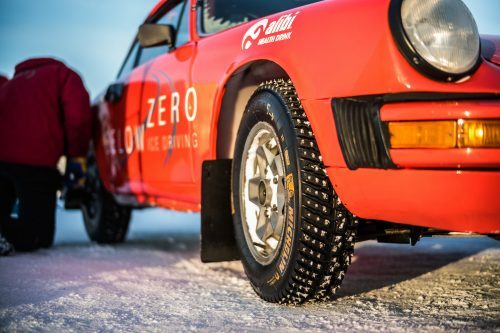 Tuthill built the cars and runs Below Zero. 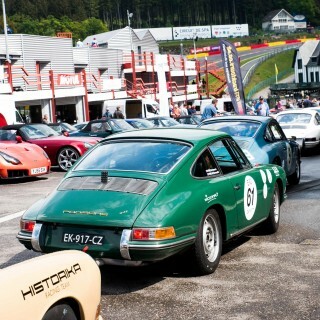 It’s the esteemed British race shop selected by Chris Harris to build “Kermit,” a famously green early 911. Tuthill also preps FIA circuit racers, which are as accustomed to wearing wreaths as frat boys at a toga party. 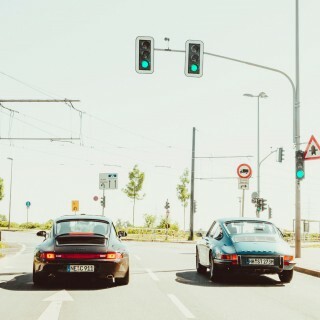 There are three 911s, a 912, and a 914-6, the half-sister from a marriage to Volkswagen. There are two short-wheelbase cars, orange and blue, and two impact bumper builds: a late ‘70s in red, and a brutish, black 3.2-liter. 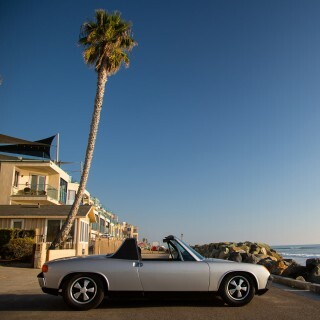 I approached the lineup eager to sample a short-wheelbase car, and got into the blue 912. The interior was stripped, with functional seats and four-point harnesses. An anemic blower did its best to defrost the windshield. But the rag wedged between the seats literally wiped its glass. 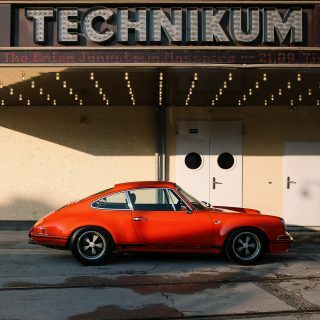 The 912 was hot-rodded with an energetic 2.2L flat-six, the hollow rasp of which sent a tingle down its driveshaft. Doglegging into first gear, I was off. On the ice, the small 2.2 felt like a muscle car, able to peel out the back tires at will, especially on cam, past 5,200rpm. The whole vibrated with an excited terrier energy, and there has never been a steering wheel more alive. But most of all I noticed the Tuthill dual master cylinder pedal box, which had no slack, no give, like a C.H.P. motorcycle cop in black shiny boots and mirrored shades. I bought one for $1,200. and highly recommend it. 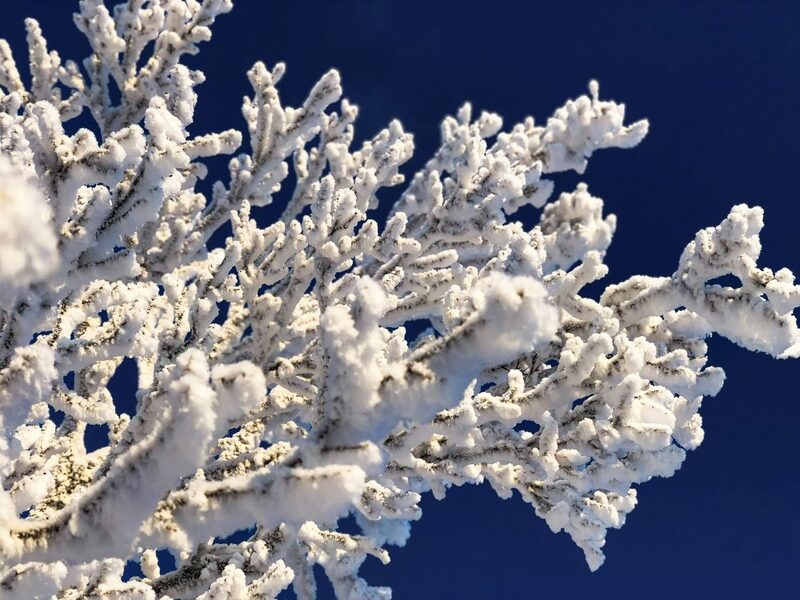 I was clothed in a merino shirt and sweater, and a spring ski jacket blocked the wind, nut after 15 minutes of driving, I was stripped down to my sweat-soaked shirt with the windows rolled down, 27 degrees below zero, frantically wiping the frost off the inside of the windshield with my rag. In order to grip the ice, all the cars were shod in narrow tires studded with spikes. At first, we went out on little nubs, so we could get used to the dynamics of yaw at low speed. But after a short break we went back out on the longer 3mm spikes, which allowed us to accelerate and brake surprisingly hard. When we braked too late, or gave it too much throttle, we jumped the small, plowed embankment. Sometimes, with momentum and throttle, I could get the car back on track. But most of the time I ended in an enveloping cloud of powder. That’s what the walkie-talkie was for. Soon, a white support van would arrive, one of the Below Zero staff would jump out, attach a tow hook, and pull us out, signaling that we were free of the rope with two taps on the bodywork. This is the magic of minimal consequences, as if one could go to college with your grandfather’s name chiseled above the library. 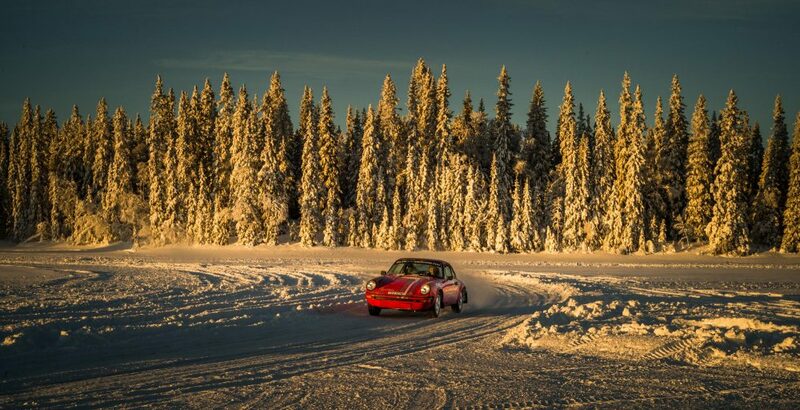 If we were learning on a gravel stage, in vintage 911 rally cars, you’d have to be frightfully careful. And where is the fun in that? Rallying is about derring-do, not daring-don’t. This might be why Formula 1 and factory GT drivers come to Below Zero—to practice 11/10ths driving at lowish speeds. It also draws rallying champions and automotive icons like Rob Dickinson, the founder of Singer. You know who wasn’t there? Americans. Maybe it’s the distance, or the $5k-a-day cost? But part of the reason is that many Americans are as familiar with rallying as they are with the Eurovision Dance Contest. Below Zero comped the first day, but I paid full fare for day two. In order to make best use of a five-thousand-dollar day, I first learned how to drive a rally car at Dirtfish Rally School near Seattle, Washington, attending their three-day rear-wheel drive course, which was methodically and skillfully taught on gravel in the Northwestern forest. Mostly, I was learning how to left-foot-brake. This is the essence of rallying. They kept saying, “Your fast pedal isn’t the accelerator, it’s the brake.” So you accelerate up to the braking point and push on the brake with your left foot, compressing the front contact patches, shrinking the rear, turning in, and then abruptly releasing the brake. This breaks the rear end loose, which is then steered by the throttle. To pivot into the next turn, release the throttle, turn in, and firmly shove the brake with your left foot. The car will fling the rear end in the opposite direction, the arc of the turn controlled again by the throttle. 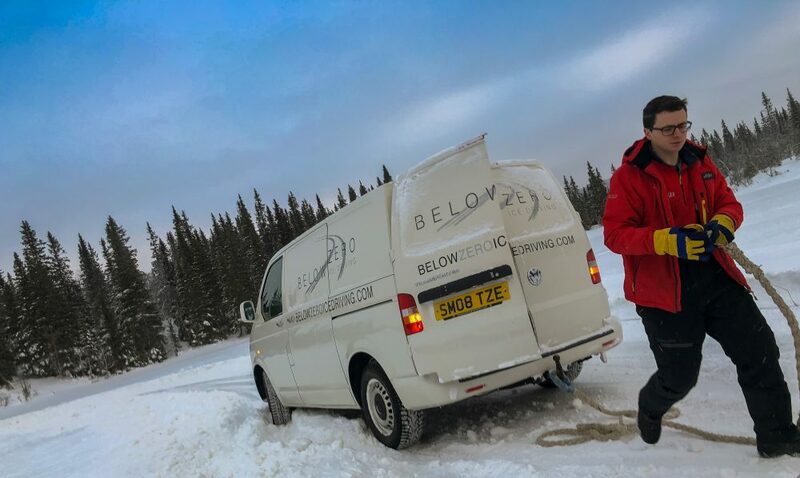 The second day at Below Zero was much like the first, with a different set of students. 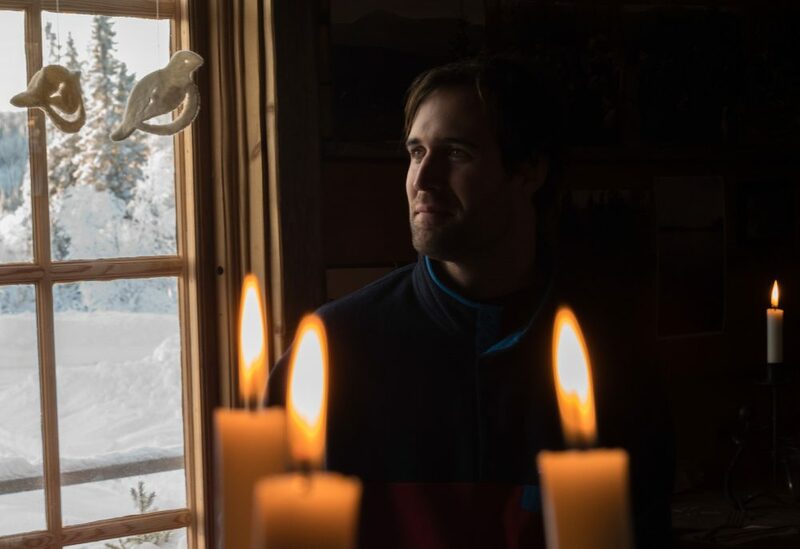 At lunchtime, the van drove us along a road of ice, canopied by trees, to an ancient Nordic hunting lodge, impossible to duplicate with reclaimed wood and Ralph Lauren accessories. The wood was pigmented by a hundred years of curling black candle smoke; antlers shot within bullet drop; two long tables roughly hewn from Grandpa’s Giving Tree. The ancient lodge, the East Africa Safari-spec cars, and the cast iron cauldron, hanging above a wood fire—there was such a depth of authenticity, everyone should have been wearing Rolex Sea Dwellers with helium escape valves. The tables segregated guests and instructors. 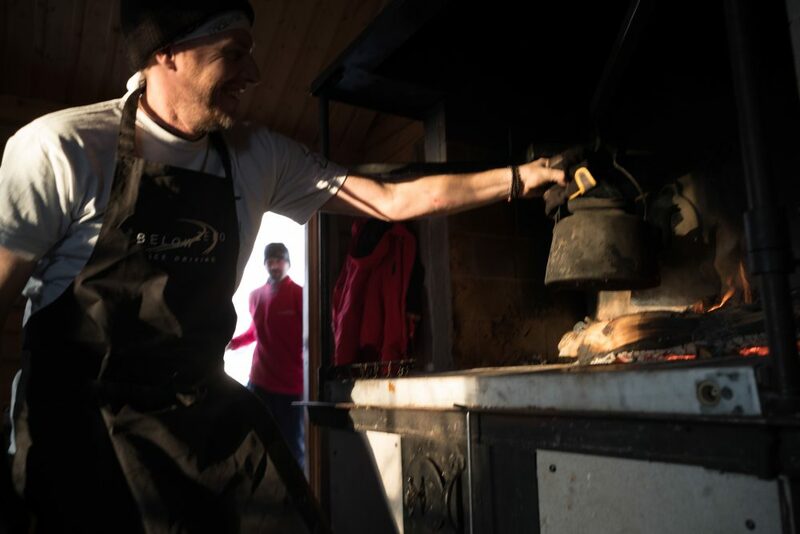 A surfer from Santa Cruz prepared bison—always bison—over a wood burning stove. The room was still lit by candles; the cranberries fresh, the salad crisp, the conversation lively. It had better be, as I calculated that one hour out of the six-hour day cost around $800. Most were relieved to have a break, barely able to pass the platters of food with arms limp from exhaustion—except for Nicolas Pohler, a young German who looked like he had just come from a factory team training camp, because he did. The Lamborghini GT driver was with his father Karl. Karl belied the German stereotype, gregarious and twinkly, and uncommonly generous with his son, sponsoring his racing at a costs of $600,000 a year, until Nicolas was picked up by Mercedes and then Lamborghini. How I envied Nicholas, Aryan good looks, which served him well among the debutants of London; but more so his skill. It’s humbling to be driven by podium finishers, not really following the rules, totally at ease, releasing the steering wheel and grabbing it at precisely the right moment, like a marathon runner competing in a local 5K on a lark. Unlike most driving schools, where track time is doled out like omakase, Below Zero offers a smorgasbord, and for the two days I was there, I gorged like Caligula, each small break to the Quonset like a trip to the purgatorium. During one such respite I spoke with someone who was unlike any of the other students, by which I mean not fabulously wealthy. A bricklayer from England for most of her 62 years, she cashed out pensions after her husband died, started racing, and had an affair. It all seemed to have worked out. She purchased a Caterham and was entering its racing series, and became best friends with the wife of her lover. She was a remarkably randy woman who’s tales made playboys blush. She raced like she loved, full bore, and drove the orange short-wheelbase car with verve and no small amount of skill. If you think you’ve drifted because every once in a while, on tight 2nd-gear, uphill corners, you’ve let the rear tires slip—you haven’t. 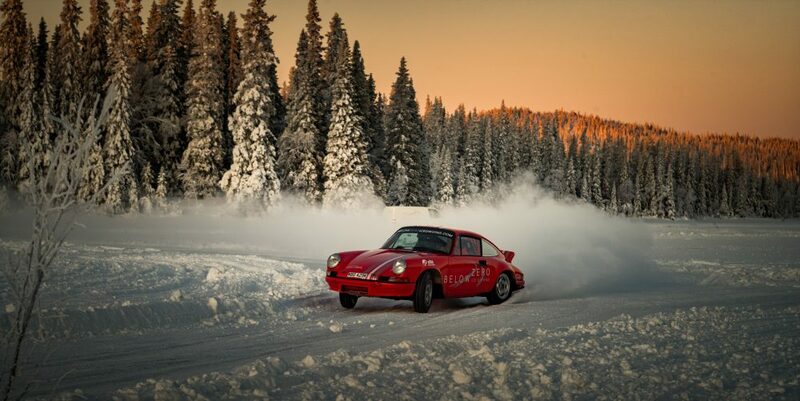 At Below Zero there were lurid, back-to-back drifts in the alliterative Swedish snow. It was easier to measure the time one wasn’t sliding. The cars were in a constant state of yaw, trimmed by throttle and left-foot-braking. The more accomplished of the group had footwork reminiscent of Röhrl’s grainy in-car footage from the ‘80s. This constant see-sawing back and forth was the perfect opportunity to compare the pre-1969, short-wheelbase cars, longer wheelbase 911s, and the mid-engined 914-6. I’d never driven a short-wheelbase car, and even if I had, probably wouldn’t have been able to tell you how it handled at the limit compared with a post-1968 car that had a two-inch longer wheelbase. But now I can. On a rally stage, or tight Street of Willow-type road course, it’s better, much better. The short-wheelbase cars are so light and communicative, and are as quick to pivot as a ballerina. The long-wheelbase cars, especially the one with the heavier 3.2L in the back, were like modern dancers with thick, powerful thighs that leant them stability at the expenses of grace. I asked Porsche factory race driver and founder of Luftgekühlt, Patrick Long, about which he prefers. “For canyon carving, I’d prefer a short-wheelbase car, but at Monza I’d rather have the stability the two extra inches of wheelbase the later cars provide.” The 914-6 was trickier to drive, eager to rotate, but hard to bring back in line. It was a treat to drive that one, once. 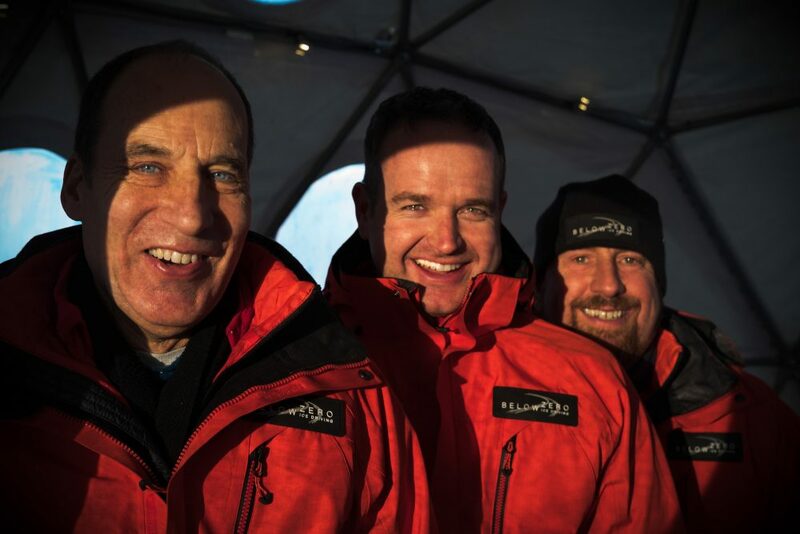 After my final day at Below Zero, I returned to the mid-mountain hotel and let exhaustion Shanghai consciousness. Waking to a late sunrise, I elevated to a breakfast of muesli and knäckebröd, with a view of Swedes with hair as light as the falling snow. I rented skis, foolishly forsaking the motorcycle-type back protectors that most Swedes wear under their jackets, bitterly regretting my fingered gloves in the frostbiting cold. I took a gondola to the top, above the line of mist, where the sun reflected blindingly off the ice. I say ice because there was no powder, just a dusting of snow. As I schussed down piste, a little nisse tripped me, cruelly introducing my tailbone to the ice. As I lay in my sitzmark, watching the deft Swedes transition seamlessly between snow and ice, dancing to coefficients of friction read like musical notes, I knew I would never be a great rallyist—not like a Scandinavian. But maybe, with enough practice at Below Zero, I could become one of the greatest Semitic ice racers, like an Olympic Jamaican bobsledder. Hope to read more of your stuff in the future. I charge Petrolicious per response so I was trying to save Afshin from the poorhouse. One has to ask themselves: Is it self hating to serve a food to your family that is a pejorative. Brilliant article Robert! I literally NEVER do the whole sign-up, log-in, thing to post online comments, this this deserved it. Hillarious and very enjoyable. 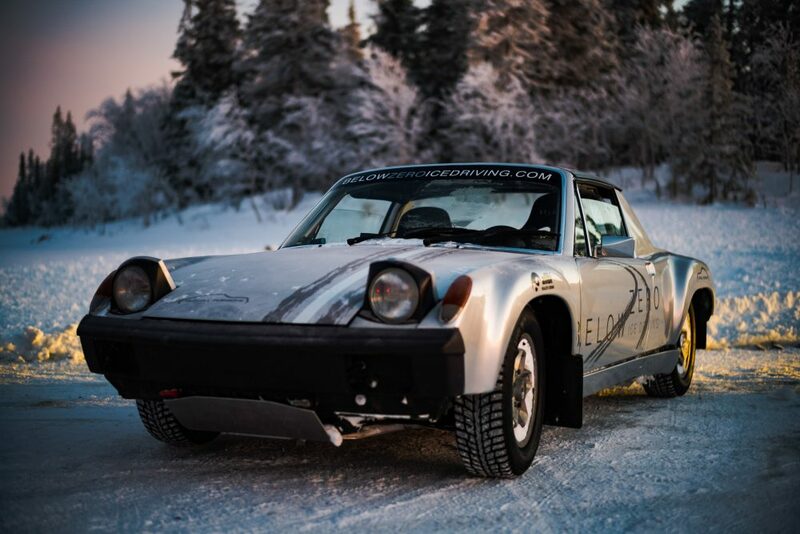 And having been to Below Zero’s ice driving experience, you captured it beautifully. It’s exactly as described people! P.S. To those who think Africa is a country, I’d like be clear that you SHOULD NOT SEND MONEY to the above fictitious email address. You should send money to my real PayPal addeess. Damn, Robert, that was fun – not Below Zero fun – but pretty freakin fun! What a dream come true that must have been to get a day of this insanity comped.